Thank you everyone for understanding and respecting the Eagle Valley Trail closure in Avon/Arrowhead. The asphalt patching and tree removal has been completed and the trail has reopened. 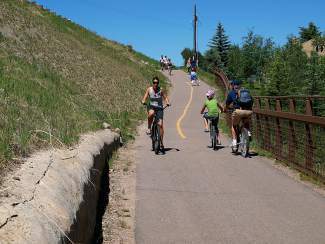 Enjoy the Eagle Valley Trail this summer!